2019 Race Date: Sunday, Nov. 10. Caring for the coast,”one step at a time” is our motto. Each year, we donate 100% of the net proceeds to a mindfully selected seacoast nonprofit organization. We strive to put on a well-organized and safe event that highlights the beauty of New Hampshire’s historic seacoast. We encourage all levels of athletes to enjoy themselves while also providing them an opportunity to significantly benefit our community. HAVEN and the Child Advocacy Center of Rockingham County work together to support those impacted by abuse and domestic violence. Both nonprofits work to ensure that every child and family have a victim centered experience in a safe and responsive place to move beyond their trauma to Heal, Survive and Thrive! 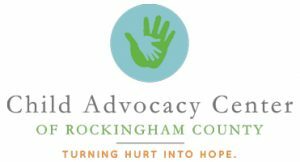 The Child Advocacy Center of Rockingham County (CACRC) works in conjunction with local police, child protective services, the county attorney’s office, victim advocates, and mental and medical health professionals to nurture a community where children are safe and where justice for victims can be obtained. HAVEN, the largest domestic violence and sexual violence support and prevention agency in NH, works to prevent sexual assault, domestic violence and stalking and to empower women, men, youth and families heal from abuse and rebuild their lives. HAVEN and CACRC clients are children and families of all genders, ability levels, economic backgrounds, races, and ethnicities. In 2018, the CACRC conducted forensic interviews for over 300 children advocating for victims of sexual assault, maltreatment, abuse & neglect, physical abuse, family and non-family abduction, exposure to domestic violence and/or drugs as well as school assaults. HAVEN provided support to these families linking them to additional wrap-around support services. In the last year alone, 4,336 individuals and families received confidential assistance through the HAVEN 24-hour support line and 10,035 youth, parents and teachers participated in the HAVEN K-12 Safe Kids Strong Teens prevention education program. Our ultimate vision is to live in a world without domestic violence and child abuse. Though we recognize that this is a challenging goal, we believe that it is nevertheless an essential vision to possess. Together we work every day to prevent child abuse through spreading awareness, educating the community about signs of abuse and how to report suspected incidents, as well as supporting victims and families in their times of need.